Advertise Your Alliance and Recruit Other Nations! 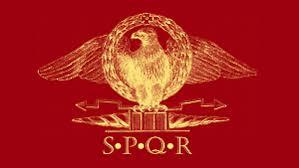 The Roman Empire is in a period of major economic, cultural, and territorial growth. The legions of Rome have driven the barbarians out of her borders and have continued to ensure safety within her beloved Empire. The Senate and People of Rome have exceeded their mortal ambitions, and restored order and prosperity to the vast Empire. Rome stands at a turning point in history, about to enter into a state of Roman peace for years to come. To accomplish such a remarkable task, Rome must conquer.